American University's Kogod School of Business was accepted into the CFA Institute's University Affiliation Program with its master of science in finance program. The Program, considered a "gold standard" in the finance industry, promotes ethics-based investment education in university degree programs aimed at developing investment professionals. According to Randy Nordby, program director of Kogod's master of science in finance program, "This is huge honor and achievement for our program and school. This will bring more exposure to our finance program, better job opportunities for our graduates, and will help our students better prepare for the CFA program exams." University program partners have the benefit of identifying as a CFA-Affiliated program, a highly respected global designation in the field. Practical benefits include access to CFA Program resources, including one complete set of the CFA Program curriculum and access to all levels of the CFA Program sample exam; CFA Institute Content Access; and CFA Program Awareness Scholarships. To be eligible, the school's curriculum must embed a significant portion of the CFA Program Candidate Body of Knowledge (CBOK), which represents the core knowledge, skills and abilities generally accepted and applied by investment professionals globally. The Code of Ethics and Standards of Professional Conduct, an ethical benchmark for investment professionals around the globe, must be integrated into the curriculum as well. In 2017, Kogod's master of science in finance program matched 100% with the CFA Curricular standards. As part of the partnership, Kogod will set up an ethics partnership with the Institute to educate students on its Code of Ethics and Standards of Professional Conduct. The Code of Standards are the ethical benchmark for investment professionals around the globe. "The CFA Institute's Code of Standards encompasses the key principles that I want our students to embrace as they represent themselves and Kogod into their financial careers," says Nordby. The school is also planning to apply for admission for the bachelor of science in finance program in 2018. "We are looking forward to growing our master's in finance as a CFA-affiliated program. The availability of new, high-level resources for our students, as well as the development of the ethics center, will further empower our community to lead and make a difference in the business world," says John Delaney, dean of American University's Kogod School of Business. 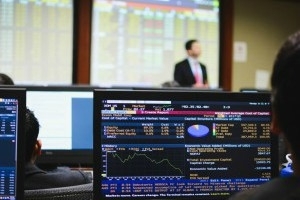 Learn more about Kogod's master of science in finance program.